Growing up, my parents instilled in my (5) brothers and I the value of being together, spending time with each other and creating memories and family tradition. My husband’s family is also big on “togetherness” – no matter how big or small the venue is! For twelve years now, my husband and I take the kids off from school for a week. It probably sounds like I don’t value education. Far from it! Luckily, my kids are great students. I also believe that they learn so much from all the adventures and experiences they get from all the vacations and/or trips that we’ve taken them. Although I never thought a yearly trip to a ski resort is one of them! Being born in the Philippines, my body just never got accustomed to the cold, freezing weather. It’s ironic that we leave New Jersey in the middle of winter to go away and be in a colder weather. The first two years of our ski trip were brutal! Talking about freezing – below zero temperature! As I learned from my mother, sometimes as a mother and a wife, I have to do things that are not necessarily fun for me. I just have to be part of it because the family enjoys it and most importantly, the husband eagerly planned-out something special in his mind that the entire family will totally cherish. But can you imagine a 32-year old Filipino “ewok skiing? 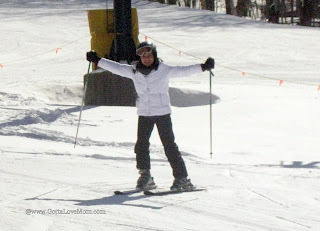 My husband loves skiing and wanted our children to experience the fun of skiing, too. 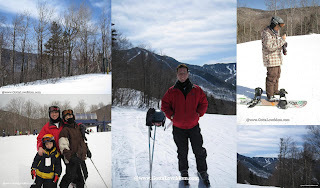 So 12 years ago, I actually put on those heavy ski boots! 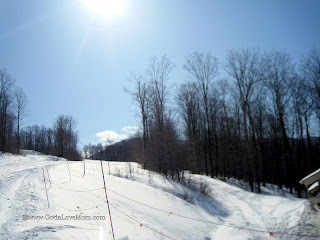 The kids loved it but I was scared to death - I even broke my tailbone on the 2nd year that we went skiing. But I kept pushing myself because my husband and kids believe that I can do it! 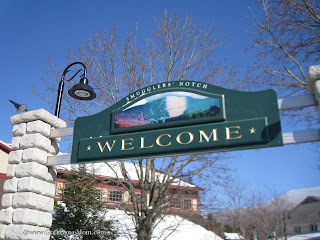 Every year, we go to Smuggler’s Notch Resort in Vermont. You can say it’s a 12-year tradition. the trees are covered with snow. you can forget any anxieties. With the news of six to ten inches of snow! to intermediate and advanced skier. the black diamonds , double and even triple! It’s a special place that Daddy made into a tradition! Luckily, we figured out a way to keep the spending low and stayed in the budget. We bought what we need and NOT what we want. The kids are great, they didn’t even complain! Today, I’m glad I skied! It was just so peaceful, serene and just beautiful up there. I love hearing the boys’ laughing out loud as they race downhill – all four of them! 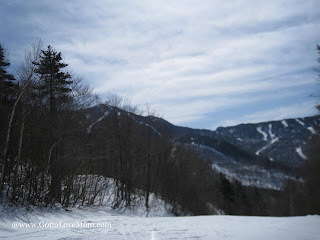 I’m so lucky that my husband introduced me and my kids to skiing! I wish that our entire family can experience our winter tradition, too. My brain remembers the pain of falling. My heart remembers the joys of being with the family. (We all miss our Nicole who couldn't come because if midterms/college).